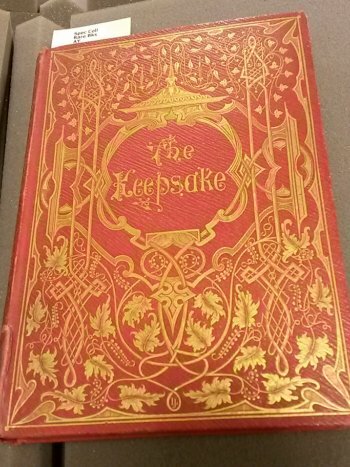 During an era when Charles Dickens and Jane Austen were writing classic novels like Hard Times and Pride and Prejudice, annuals such as The Keepsake (1853) helped lesser-known authors and artists grace the homes of many Victorians. The annual was a compilation of short stories, poems, verses, and essays as well as illustrations and plates, typically bound fairly extravagantly. For the most part, these annuals were written by authors who weren’t well known, but who could make a fairly steady income off of contributing pieces consistently. 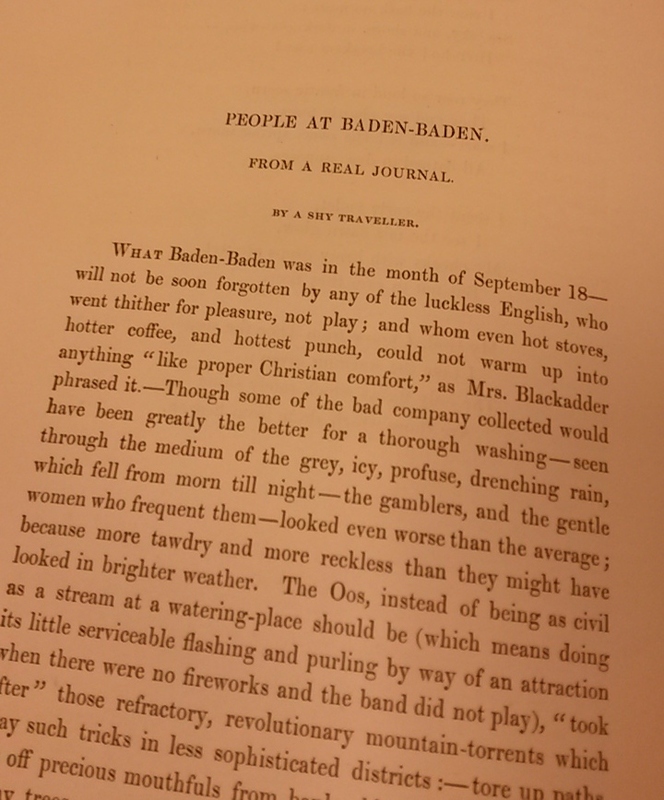 This left the annual to be criticized by the more prominent writers of the time for its lack of literary quality; however, many authors who spurned the annual, such as William Wordsworth, also contributed due to the financial opportunity. 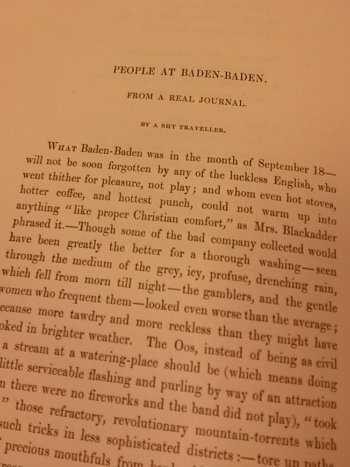 For example, The Keepsake includes a short story called “The People at Baden-Baden” that was contributed anonymously by “A Shy Traveler,” but also contains a poem called “Lines to Lady Cochrane” by Walter Scott. Scott was notable enough to be offered the position of Poet Laureate in 1813, although he declined. This combination of lesser-known and well-known authors gave the annual a unique role in Victorian society. 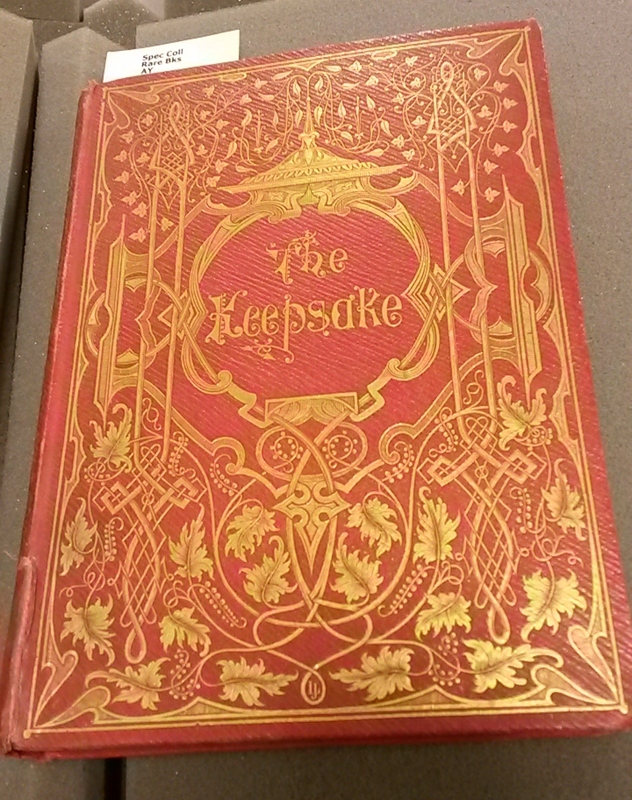 The Keepsake and other annuals would have primarily been considered gift books, typically given around the holidays. They became a sign of taste, readily displayed in the drawing rooms of Victorian homes due to their elegant covers and illustrations. Their combination of prominent and unknown authors with various forms of shorter works contributed to their purpose as a casual read. 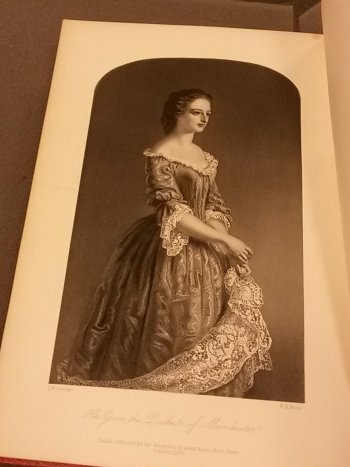 Furthermore, annuals were largely aimed at women, allowing them to feel literate without stepping outside of their social roles. The Keepsake and other annuals continued to be gifted and read casually through much of the 19th century. However, they eventually gave way to the demand for works of more notable authors and artists which prevailed in the late 1800s.